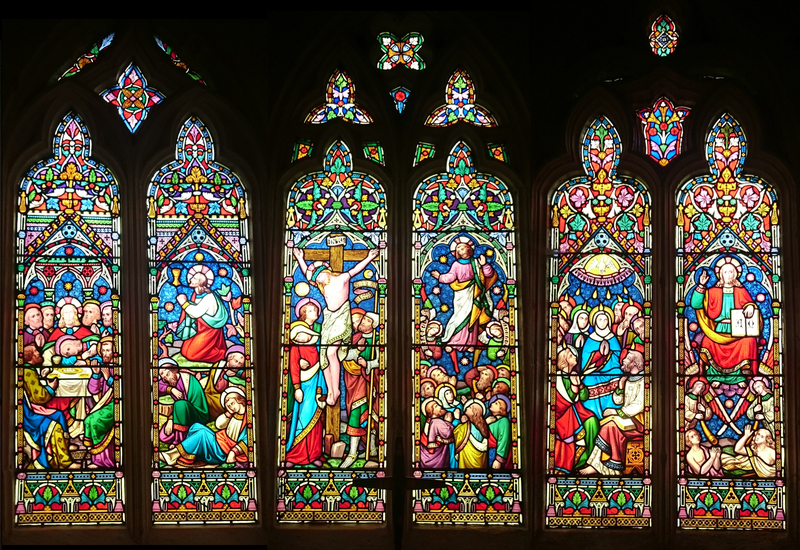 Chapel interior – stained glass windows depicting scenes from the life of Christ. © Sarah Goodey, 2017. Grange House at Llanfrechfa Grange has had a consecrated chapel since the 1860s. From the outside it appears unassuming but as you enter through the small door in the hall, the series of intricate stained glass windows bring light and colour into this intimate and calm space. Visit our updated history page for more information and to see many beautiful images of the Chapel in Grange House.